What does it mean to be a web designer? The chances are its a lot more than you think. As the web becomes increasingly complex so do our clients demands. The world of web design is changing at a scary rate. Where once all we needed was Photoshop and Frontpage [joke], now we have to endure list posts like this one telling us to learn more than ever. It is kind of depressing really. Of course one option is to specialise. You can intentionally limit your expertise to one area and turn down work outside of that specialism. Although there are a lot of advantages to this approach it is not an option for most web designers. Many of us are not able to turn away work even if we wanted. What is more our clients tend to presume we know ‘everything about the web’. For the majority of us we have to continue being generalists. This involves expanding our knowledge into ever more diverse areas. 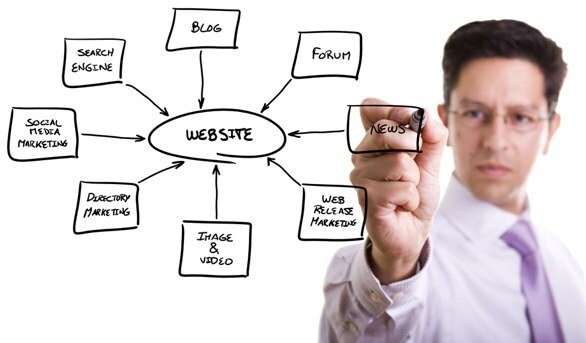 Increasingly website owners are grasping that their online marketing strategy has to be about more than their website. The ‘build it and they will come’ mentality has gone and they realise that their website is the hub for a broader strategy. At the most basic level clients expect us to have an understanding of SEO. Unfortunately their expectations in this area are often unrealistic (“I need to be number one on the term ‘Internet'”). It is our job to educate them about the reality of SEO. Of course to do that we need to understand the area ourselves. What is best practice within SEO? What impacts does SEO have on usability, accessibility and copy? However, SEO is not the only consideration. Increasingly clients are recognising the power of social media. An increasing number of website owners are looking to engage their target audience through the use of social media. They see their target audience gravitating towards services like Youtube, Facebook and Twitter so wish to reach them there. However as with SEO their knowledge is limited. Often when they try they make horrendous mistakes. Even big brands have suffered from this problem as is apparent from the recent Skittles and Nestle incidents. Once again they need help and so turn to us. We need to have a clear understanding of community engagement. We need an understanding of how to deal with conflict, encourage participation and spur users into action. Probably the most important new skill we need to learn as designers is copywriting. Let’s face it, most websites have crappy copy. The majority of that copy is down to the client and so we tend to wash our hands of it. However, not all of it is the client’s responsibility. Who writes those little pieces of microcopy that appear across the websites we design? You know, the error messages, section headings, instructional text and button labels. Normally it is the web designer. The problem is that the words we use can have a massive impact on usability, comprehension and conversion. Take for example 404 pages. Other than web designers who the hell knows what a 404 page is? It is not just us that needs to learn to write better copy. The client does as well. The question is who will teach them? Once again the burden falls to us. Setting aside the issue of whether a designer is the best person to teach copywriting (an issue I address later), often there is nobody else. We therefore need to understand the principles of writing for the web and indeed more general copywriting techniques. In particular I think we need to help the client establish consistency and tone in their copy. After all we have worked hard to project the right tone in our design. There was a time when you could make certain assumptions about how somebody was accessing a website. The chances were they used a desktop computer and sat at a desk. However, things have changed. Now they could be using a netbook on the sofa or a mobile phone at the bus stop. This has a profound effect on how we design websites. We need to be contextually aware. We need to understand how both environment and device alters the way people interact with a website. Do you take time to consider the environment in which users are likely to be encountering your website? Do you understand how these environmental differences could impact behaviour? For example a mother with a new born baby may be accessing the web from a home computer. However, her environment could well be far from perfect. Her child could be crying. She may be sleep deprived. These things impact how easily she can use your website. With a growing number of devices accessing the web we need to consider a greater number of factors that influence the users interaction. Screen size, functionality and input devices are just three examples. When a user could be using a touch screen, a keyboard or a mouse to interact with your website, it makes designing the user interface much harder. If we are to survive in this multi-device, multi-environment age we need to better understand how these contexts alter the user’s interaction. For example, when was the last time you did user testing that happened in the users normal environment or navigate a website with just a keyboard. Of course your clients may not want to invest in supporting multiple devices or users who access the web ‘on the road’. They maybe right when they say that it doesn’t justify the investment. On the other hand they might be missing the bigger picture. In which case it is down to you to help. 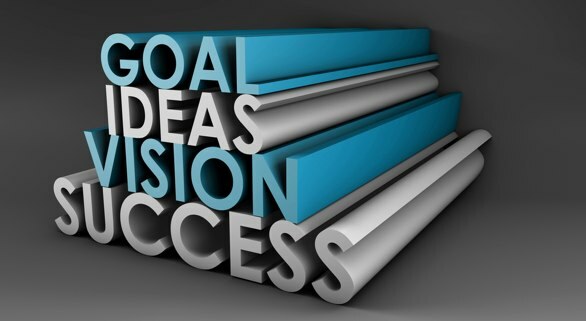 So many clients do not really know why they have a website or how to measure its success. They hire you without understanding that the website should be apart of a broader strategy. Often it falls to us to guide them through the process. It strikes me as insane that many organisations do not already have these things defined. However, they do not. The question is do you feel prepared to guide users through the process? Are you confident in talking about market segmentation or business analysis? If not then it is time to broaden your horizons. My final skills may well be the most important of all (yes I know I said that about copywriting). It is certainly the skill you will use more than any of the others. 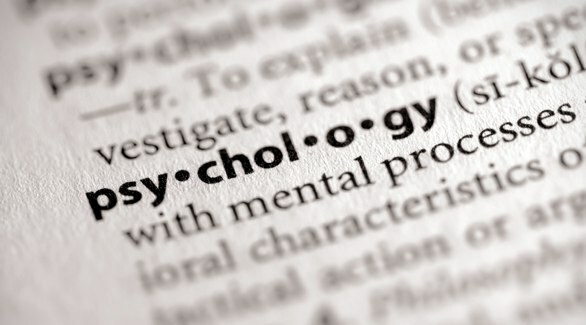 In order to be effective web designers these days, we need a good understanding of psychology. For a long time psychology has been a part of our job. Designing usable websites requires an understanding of how users think and complete tasks. However, it is no loner enough to create websites that are merely usable. Increasingly we are looking to create sites that make users passionate and engaged. That takes a deeper understanding of what makes people tick. A good grasp of human psychology goes further than just design and usability. If you understand how people think it can also help with building and engaging communities. It allows you to write better copy, promote your services and win more pitches. Our role almost exclusively involves understand and engaging with people. Whether users, clients or colleagues, if we understand how they think we can motivate them into taking action. We can convince and persuade, nudging them in the direction we wish to go. To survive in the modern world of web design we need to really understand the human condition so we can use it to our advantage. How do I learn all this stuff? By this point you are probably feeling somewhat overwhelmed. How the hell do you get your head around all of this new stuff on top of everything else. It’s a fair question and I have no easy answer. However, I would suggest one thing: Do you really need to read yet another CSS article or watch another Photoshop tutorial? Do you need to attend a conference about the latest jQuery techniques or would your time be better spent broadening your horizons. I read books on business theory, follow blogs on customer service and listen to audiobooks about marketing. The problem is that the web design community (like any community) can become very isolated by all talking to one another and regurgitating the same old stuff. If we want to meet the needs of our clients, we must start looking further afield for our education. You may suggest it is unreasonable to expect one individual to learn all of this. The answer is yes it is. However, that does not change the reality that this is what our clients want and expect. Clients are looking for a one-stop-shop. They are not looking to deal with multiple suppliers and the associated work of managing different companies. Obviously this is a generalisation and I am not arguing against specialising. I am however saying that we all need a broad knowledge in todays marketplace. Does that mean we need a deep knowledge of marketing or copywriting? No it does not. However, it does mean we need to know enough to point our clients in the right direction. Sometimes that might be us suggesting solutions, sometimes it might be us recommending an expert. However, without some knowledge on our part we cannot make those judgements. So if you want to delight your clients and deliver above and beyond what they get from the competition, it is time to broaden your knowledge.